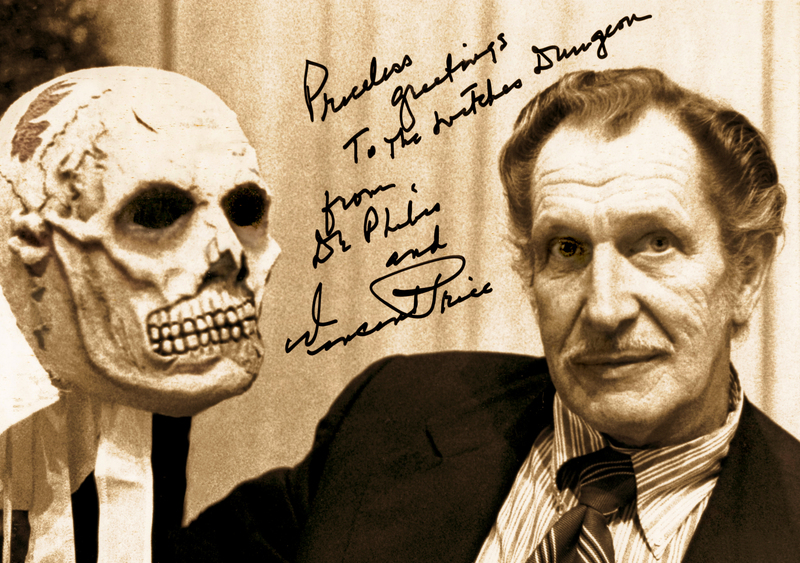 What's not to love about Vincent Price?!?! He had what Karloff and Lugosi had: not only the physical impact but a voice that could either scare the pants off of you or pull you into their fun and games! Not to mention his great good sense of humor in this sketch with none other than Kermit the Frog! It also stars Agnes Moorehead and Darla Hood. 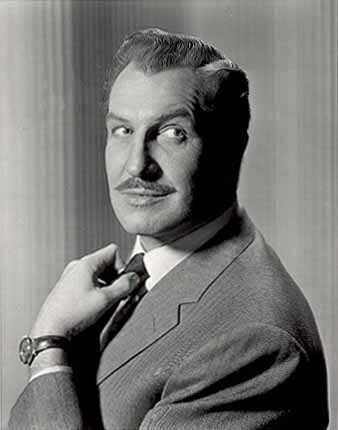 (See also MYSTERIES: The Bat) . . . .
Vincent Price made two movies that had literary beginnings: The Bat (1959) and The House on Haunted Hill (1959). The Bat traces its start in Mary Roberts Hinehart's The Circular Staircase (1908). She and Avery Hopwood simplified Staircase into a Broadway play called The Bat in 1920, which became a silent film in 1926 as well as a book. Roland West remade his silent version into the talkie The Bat Whispers in 1930. 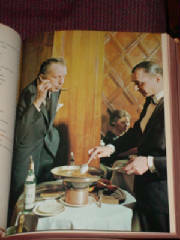 The Grosset and Dunlap copy that Maven has of The Bat has stills from that version. So we come to 1959 when Wilbur Crane directed Vincent Price and Agnes Moorehead in a modernized version. Good news was The Bat's look was more in keeping with the book. We were left with fewer suspects, with Price being (deliciously) one of them. 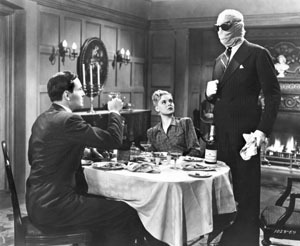 Vincent Price begins The Invisible Man Returns as Geoffrey Radcliffe, who has been convicted and about to be put to death unless something is done by his friend, Doctor Frank Griffin (played by John Sutton). 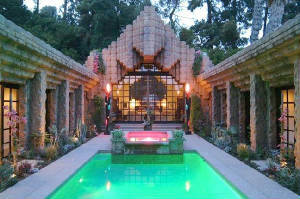 Griffin just happens to be rlated to the original Invisivle Man, played by Claude Rains in the 1933 movie based on H.G. Wells' original book. This is where Returns differs from the original with Rains. Doctor Griffin injected Radcliffe with a similar solution but used duocaine instead of monocaine from the 1933 story. 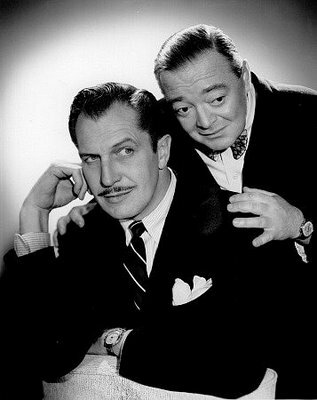 All Maven knows for certain is we are treated to Vincent Price, as Radcliffe, going nuts and actually helping in finding out who was really at fault in the murder of his brother. 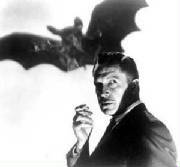 Want a teaser for Vincent Price's The Bat (1959)?! 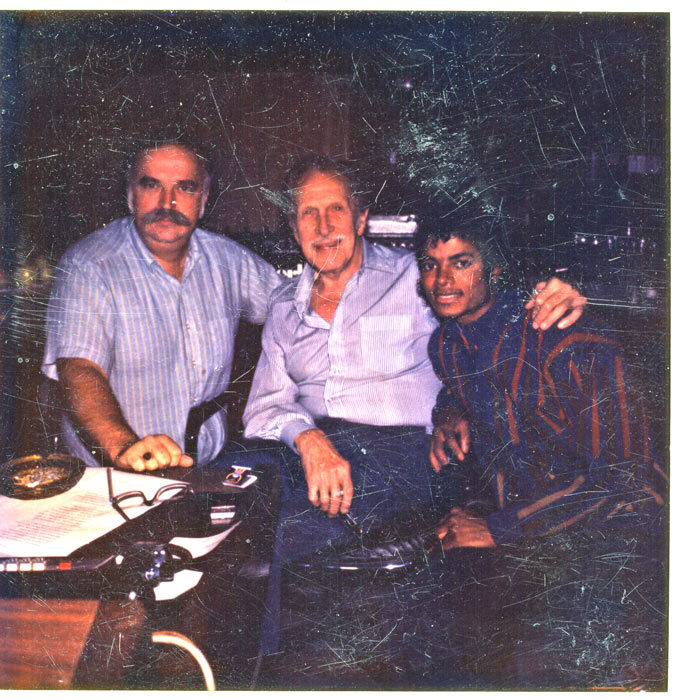 You should also check out what Cortlandt Hull and Dennis Vincent have done with Vincent Price! . . .
Vincent Price Gets Ahead of "The Abominable Dr.
supposedly at Bela Lugosi's funeral. . . .
through his heart just in case?!"